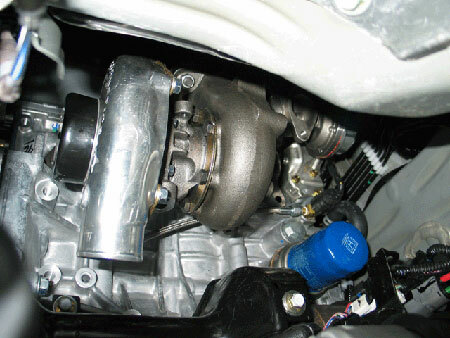 The boys at Cybernation Motorsports (an American company) have developed a forced induction kit for the 2006 Honda Civic Si. The 2006 Honda Civic Si is basically a USDM version Honda Civic with a K20Z3 engine instead of the K20A3 and R18A1 we get here in Malaysia. 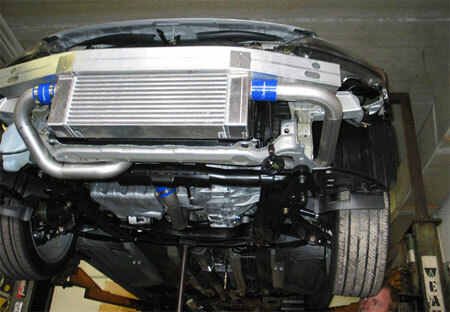 The K20Z3 is a high-compression, high-revving version of the K20 engine family equipped with the a performance i-VTEC system, unlike the K20A3’s i-VTEC cam setup which is tuned more towards economy. 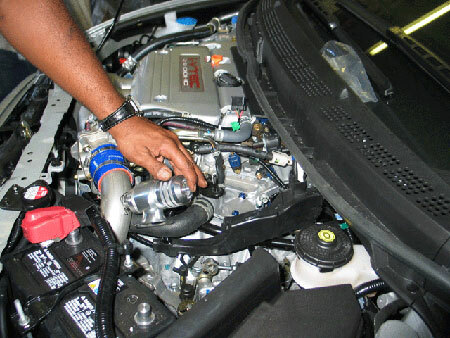 Some enthusiasts have argued that the economy-oriented i-VTEC cam setup should be called i-VTEC-E instead. 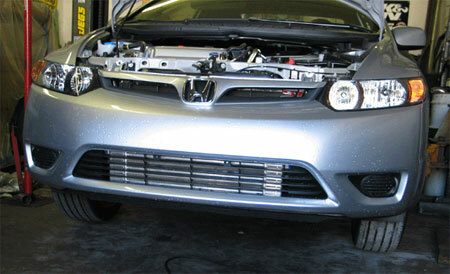 In stock form the 2006 Honda Civic Si’s K20Z3 engine makes 197hp at 7,800rpm and 189Nm of torque at 6,200rpm. It had a redline of 8,300rpm. Cybernation Motorsports have added a plug and play forced induction kit using a Turbonetics turbocharger and an intercooler to the setup. Of course, there are other components in the kit necessary to turbocharge an engine designer for normally aspirated like a standalone injection controller. Boost is set at 0.75 bar or 11psi. Currently there’s no dyno figures yet, but the car sure looks and sounds good. Videos and more photos after the jump.